Win N250k in Quickteller Sing and Rap Competition. Are a Singer, Rapper or Poet? 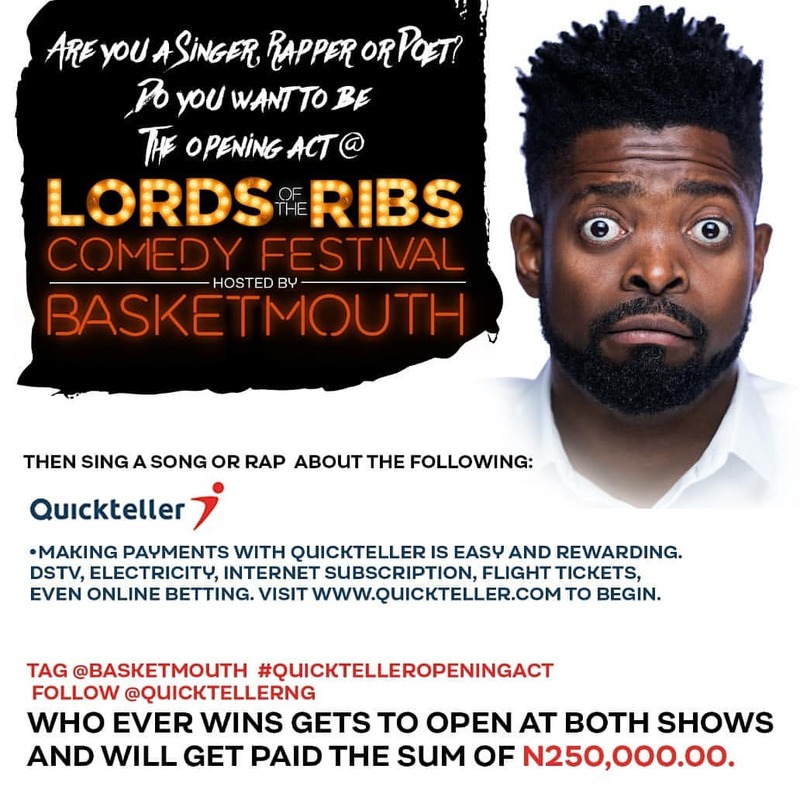 Do you want to be opening Act @ Lord of The Ribs Comedy Festival, Hosted By Basketmouth??? 1. Making a payyment with quickteller is easy and rewarding.. Dstv, Electricity, Internet Subscription, Flight Tickets, Even Online betting. Visit www.quickteller.com to Begin.